Turkey became one of the most important destinations for hair transplant in the Middle East and the world, that is due to using the best techniques and having a big number of qualified professional specialist doctors. When a client decides to hair transplant in turkey, he may have some questions and inquiries, first of them: how much does hair transplant in Turkey cost? To answer this question, Clinicana Hair Center- Istanbul gives a detailed offer about all the steps covered by the total cost so that everything is clear and available for the clients. The price covers a services package in addition to the hair transplant surgery, it starts from the first second in the airport (it is worth mentioning that Istanbul has two airports, one in the European part, Ataturk airport, which is the closest to the center and the other, Sabiha Gökçen airport is in the Asian part). Clinicana Hair Center is the only one with a reception desk inside the airport with a multilingual staff, working 24 h. Our package comprises also transport from airport to hotel, and back to airport when leaving. Note: our services in Clinicana Hair Center don’t include airline ticket. The package includes 2-night residency in a 5 stars hotel right next to the clinic, where you can find all means of comfort from sauna to Turkish bath. You can spend the first day in the hotel relaxing but you must stay away from alcoholic drinks and bars to prepare your body for the surgery next day. If you want to go shopping, you should know that the hotel is located in Taksim, the center of Istanbul, which allows you to arrive easily to İstiklal Avenue where you can find markets, malls and Istanbul historic landmarks. The residency includes free breakfast (open buffet) and free WI-FI. The services comprise also the blood tests done before the surgery which are: full blood count (CBC) like white blood cell count (WBC) and red blood cell count (RBC) and coagulation test plus some other epidemic diseases tests (AIDS – Hepatitis B and C – syphilis). The surgery is done inside our clinic, owner of JCI health care program certification and ISO certification (Acıbadem Taksim Hospital). 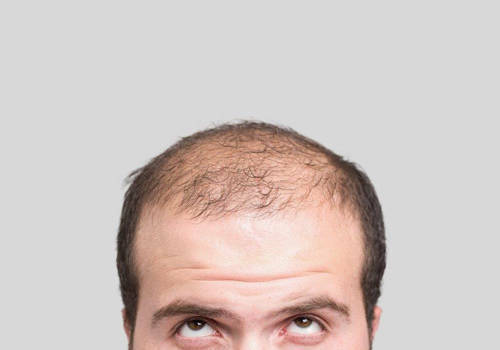 The cost is unrelated to the number of hair bulbs transplanted which depend on the patient’s case and his hair thickness. Treatment with PRP (platelet Rich Plasma) that nourishes hair bulbs. A detailed and printed report will be given to the patient after the surgery, containing number of transplanted hair bulbs, and a guarantee certificate. Transport between hospital and hotel is included in the package. We will check up the case to assure the success of surgery and give you tips for hair washing and how to deal with the new hair bulbs. We also offer first hair wash and a treatment bag containing all the necessary medications for the patient use in the next period (antibiotic – anti-inflammatory drug – painkiller- anticoagulant). It also contains shampoo and Clinicana Center special cream for 10 days use, vitamins spray, cotton pillow, special hat and head bandanna. After finishing all the steps and going back to your country, we will follow up regularly with your case by receiving your photos every month to evaluate it and guarantee the best of results. Residency in hotel after the end of surgery, but you can have discounts especially for Clinicana Center clients.